Weinheim, October 01, 2018: In mid-September, Freudenberg Performance Materials Apparel selected the winners of the “Fashioning Sustainability” competition in Verona, Italy. Back in March, the company had invited fashion and design schools in Europe to submit their designs for sustainable garments. This initiative provided students with the opportunity to demonstrate that fashion can be both sustainable and a key factor for innovation at the same time. A total of 45 students from 23 European fashion and design schools from Germany, Great Britain, France, Italy, Poland and Spain took part in the competition. 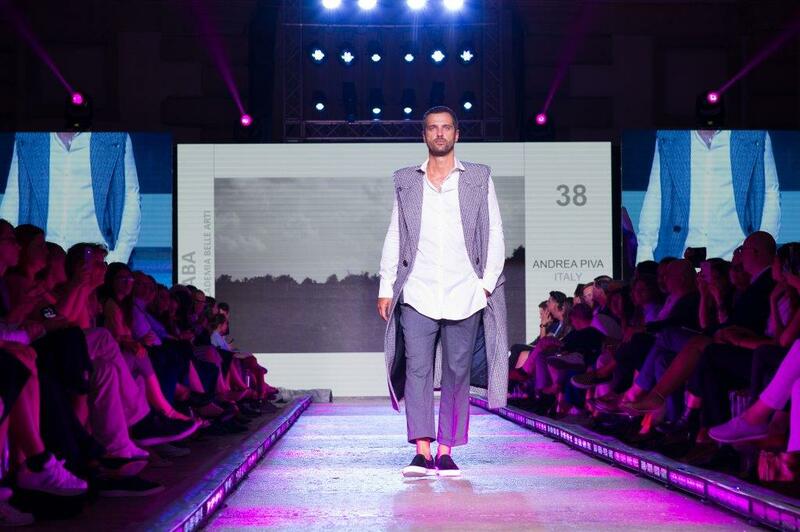 Two of the most innovative outfits from each school were selected for the final round and presented to an international jury at the historic event location “La Gran Guardia” in Verona on September 13. Fashion design experts, opinion leaders and journalists were then invited to select the most sustainable design in the categories “Innovation”, “Technology” and “Design”. A very special surprise awaited the candidates on the day of the jury’s decision: they were allowed to present their creations on a real catwalk with professional models. First prize in the “Design” category went to Mazo French Lorena from the Esmod fashion school in Lyon, France. Nuria Costa and Ane Castro from the Spanish fashion institute Esdi were awarded first place in the “Innovation” category, while Andrea Piva from the Italian school Naba won the “Technology” category. All winners received a prize of 2,000 euros. Following the event, the students were given the opportunity to network with international representatives of the apparel industry. To this end, Freudenberg organized a customer event with around 600 guests on September 14 in “La Gran Guardia”. Here, too, the topic of “Sustainability as a driver of innovation” formed the focus of a panel discussion. In addition, a marketplace offered the opportunity to get to know the latest Freudenberg innovations and those of selected partners of the company. The event was rounded off by a presentation of the specific application of the interlinings in a fashion show, which was followed by a gala dinner. The awardees (from left): Mazo French Lorena, Andrea Piva, Sara Viola (Freudenberg), Ane Castro and Nuria Costa.